SHOES!!! If you've got 'em, you might as well flaunt 'em... and that goes for when they're off your feet as well as when they're on. Since my man has banished even my most fabulous footwear to the money pit (i.e. 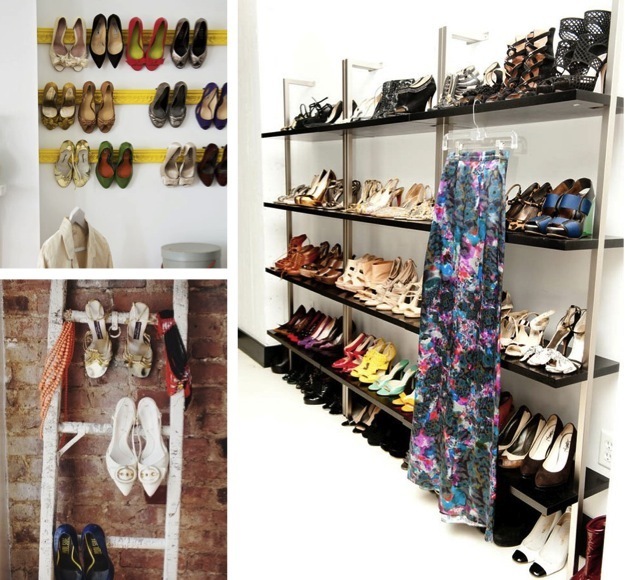 my closet), join me in having a drool at some of these not-so-hidden shoe storage solutions. Love this! I WISH I could see all the shoes I own...but sadly they are all hiding in boxes in my closet. I wish I had A) this many gorgeous shoes and B) A fun way to display them. Jealous! I got to write a blog post about fun shoe storage for my day job and it was so much fun. I definitely included a few of these images, too! I NEED all of these because I have TOO many shoes! LOL Waiting to get a house so I can build my closet right! Your newest follower! I seriously laughed out loud at "The Money Pit." Also, I think I'm going to put my fav shoes on display under glass like the first image. SORRY, manfriend... gone are the antiques, in are the heels. I want these ALL!!! You have a great blog:) I'm following you. I would appreciate that you follow me back and please click on Sheinside on the article on my blog because I need 100 visitors! Omg, I love this post! I need one of those shelves. I have way too many shoes. Lol. You should do a post on how to store handbags too. I've trouble storing them. Haha. 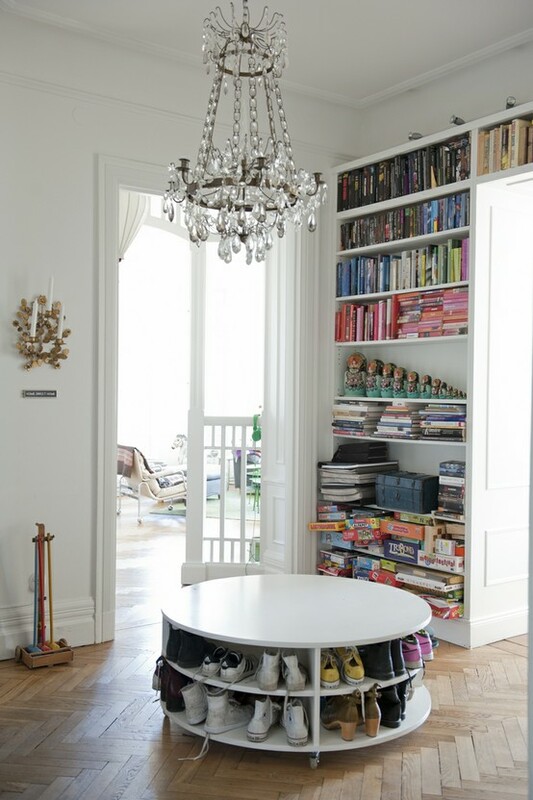 Shoes should absolutely be on display--love these ideas! OOO i love all these way to store shoes....now i want to make shelves for my shoes! Drool, how gorgeous. Love the round one in the middle of the room! ps with all the changes on Google, hey want to follow each other on Bloglovin? How I would love something like this for my shoes.